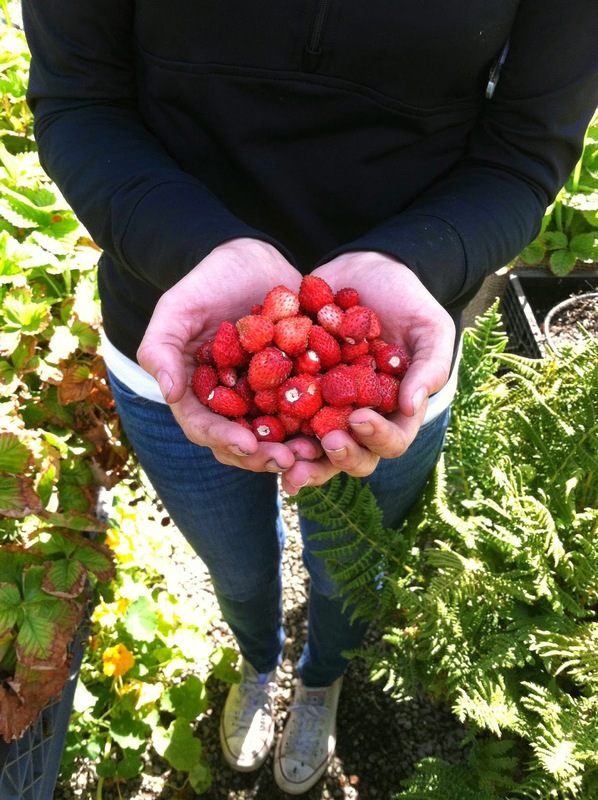 On the roof at Glide, it’s hard not to forage while doing other gardening tasks. Snail hunting? Try some of that arugula just an arm’s reach away. Pruning the tomato plants? Go ahead, take a little piece of the wasabi mustard for a spicy bite. Watering? Snap a bit of that invitingly fragrant basil off for a taste. 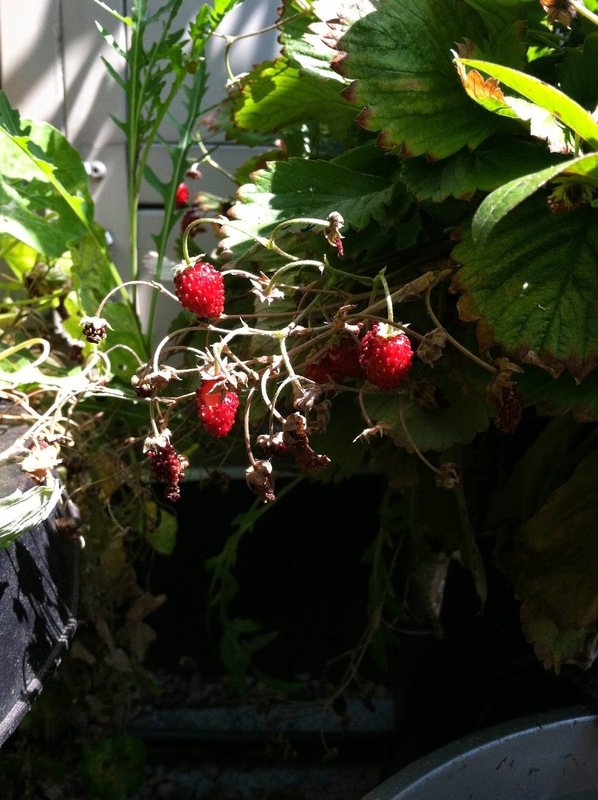 With so many edible options available at the garden, no matter what job you have or which corner of the roof you are on, there is one plant that will find you: the fragaria vesca. More commonly known as the alpine strawberry, this California native plant has leaves that look like spiked ovals. With tall thin stems and small white flowers, it is easy to miss the beautifully tiny strawberries that sometimes hang just beneath the foliage. But when discovered, the delicate berry is quite the treat. This week they were perfectly ripe and the berries never looked so ruby red. Our volunteers were lucky enough to catch a good lot of them before decomposing as their delicate nature does not allow them to last very long. More often then not however, the snails find them first! Snackers should also take note that this plant is a volunteer in the Graze the Roof garden. They were never intentionally planted, but just like the gardeners who donate their time to Glide, they are warmly welcomed! Graze our roof here at Glide every Thursday from 10am-2pm.